A Georgian portrait of a maid. 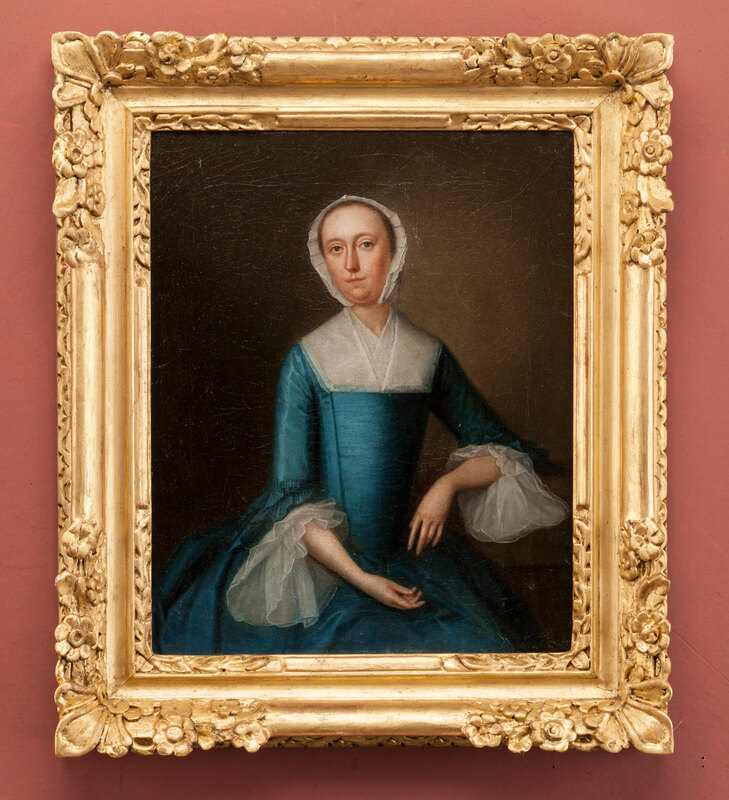 Being within a Le Brun frame of the same period as the portrait, and appearing to be original to the picture, suggests this portrait to be of French origin although it could just as well be English. Finely painted in oil on canvas and on a good quality stretcher, within a period carved and gilt-wood le Brun frame.